A little over year ago I shared with yall how I wished that Sam Riggs and The Night People could make it down to South Texas since I had recently missed his show in my hometown of Houston. Well, just my luck! A little before the year anniversary of those comments (June 4th to be exact), Mr. Sam Riggs came down to South Texas and opened up for Mr. CoJo (Cody Johnson)...However, I messed up...I missed a good portion of Sam's set because I was in line to meet Cody Johnson, Whoops! Although by the parts of the performance that I was able to see I knew that he had put on a great show. Thankfully, my friend and I had actually decided a few days before this concert that we would embark on a road trip later on during the summer. August 26th, 2016. 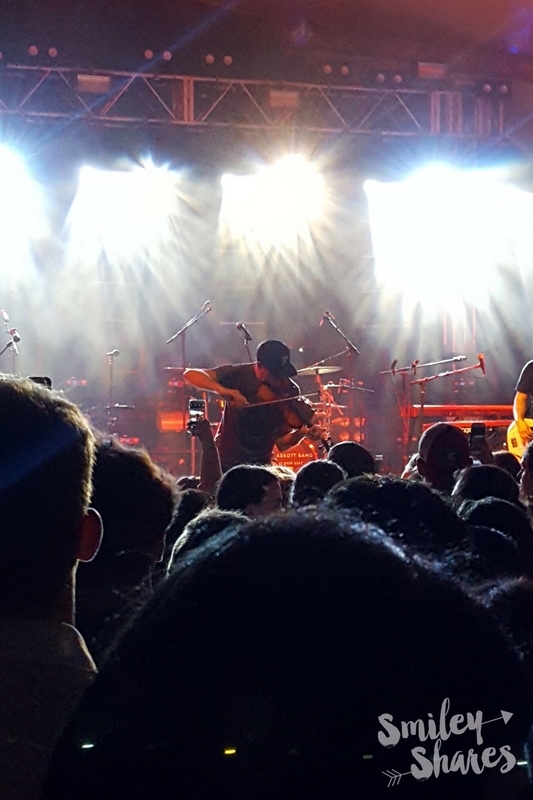 After traveling close to 5 hours thanks to traffic, my friend and I finally made it out to Stubbs, it was a typical wonderful Texas night, yes that pretty much means it was hot and humid with a couple of lightning strikes close by, but not close enough to cancel the amazing show that we were about to see. Sam Riggs began his set with an all time favorite "Long Shot" and instantly the venue was filled with high energy. That is the thing about Sam Riggs, not only are his songs intense,but the energy that he gives to the audience is powerful. The energy packed set continued with "Heartbreak Girl"a song from his latest album "Breathless". 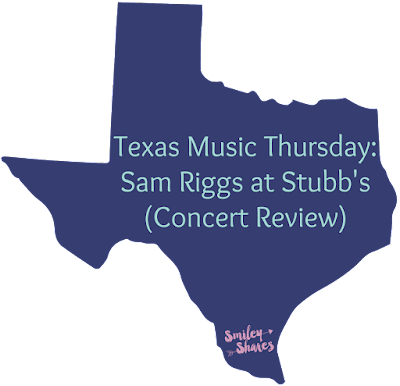 However the moment that made -the 5 hour drive, rushing from the hotel to dinner to Stubb's in a hot humid day completely worth it, was not only seeing Sam Riggs play "Lucky Ones" but it was hearing everyone singing along to every word, and the fact that he took the time to recognize and thank the law enforcement for their continuous work and sacrifice. As someone who has a family member in the field and is constantly surrounded by law enforcement, this, made my heart happy. The show did not end there. Sam Riggs was continued with more of his dynamic performances such as "Hold on, and Let go" and "High on a Country Song". I know that normally when an act is opening up for someone there set may be a little shorter, which seemed to be the case with him, I did not want for it to end. There is something special about seeing someone totally in their element, passionately performing a song, playing a series of various instruments (he plays around 4 or 5 different instruments during his performances), all while capturing an audience at a sold-out venue. 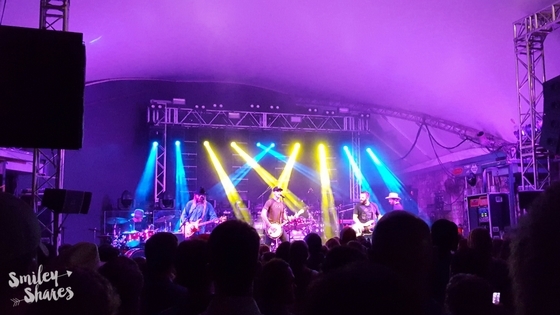 Sam Riggs followed Flatland Calvary as the openers for Josh Abbott Band, you can catch Flatland's concert review. Here. I hope that this would sway you to checking out Sam Riggs and The Night People, if you haven't already. Personally I feel that they have a song for everyone. Also, dont forget to follow him along on his social media to make sure to check out when he comes to a place near you.